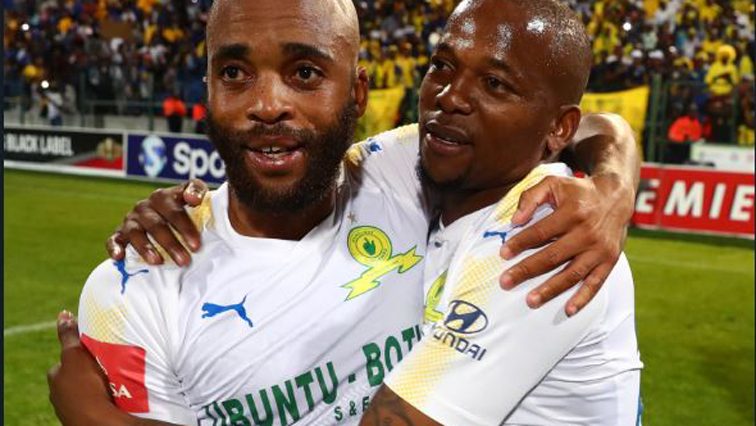 'Arrogant' Mamelodi Sundowns stay on course for treble - SABC News - Breaking news, special reports, world, business, sport coverage of all South African current events. Africa's news leader. Sundowns will be away to Maritzburg United. “Arrogant” Mamelodi Sundowns stayed on course for a treble by overcoming hosts Cape Town City 2-1 on Sunday in a South African FA Cup quarter-final. Percy Tau and Hlompho Kekana scored within eight minutes during the second half at Cape Town Stadium before Bradley Ralani halved the deficit to set up a tense climax. Sundowns will be away to Maritzburg United in the semi-finals while Kaizer Chiefs host Free State Stars. “We want to win the South African league and cup double and the CAF Champions League this year,” Sundowns coach Pitso Mosimane said before the quarter-final. After eliminating Cape Town City, Mosimane added: “Experience counted for a lot today in a tough, close, exciting cup tie. Cape Town coach Benni McCarthy, part of the 2004 UEFA Champions League-winning Porto squad managed by Jose Mourinho, said he was hurting but proud. “No coach wants to lose at this stage of the competition, but I can only salute the efforts of my players. They did not lie down when two goals behind. On Saturday, Chiefs edged Baroka 1-0, Maritzburg defeated Bloemfontein Celtic 2-1 and Free State eliminated second-division outfit Ubuntu Cape Town 4-2 on penalties after a 1-1 draw. This entry was posted on 01 Apr 2018,07:55PM at 7:55 PM and is filed under Sport, News, Homepage Featured Story Slider. You can follow any responses to this entry through the RSS 2.0 feed. Both comments and pings are currently closed.